J/U Pride Wyoming Rig Salvage - Global Diving & Salvage, Inc. The Pride Wyoming, a Bethlehem JU-250-MS design mat rig, was jacked up on location in the Gulf of Mexico when Hurricane Ike passed through in September 2009. The rig was destroyed, leaving debris in three separate blocks. 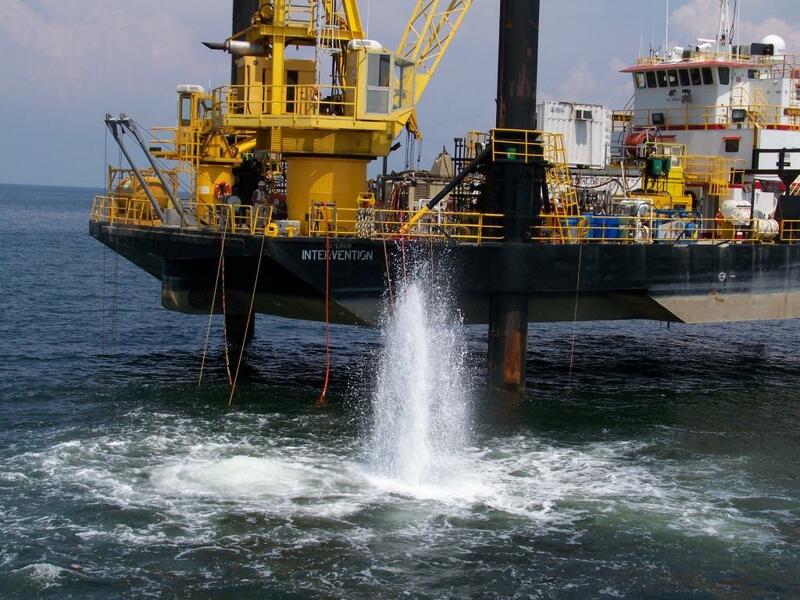 WWCI contracted Global Diving & Salvage, Inc. to assist in the preparation, salvage and site clearance of all rig components including ancillary debris removal. 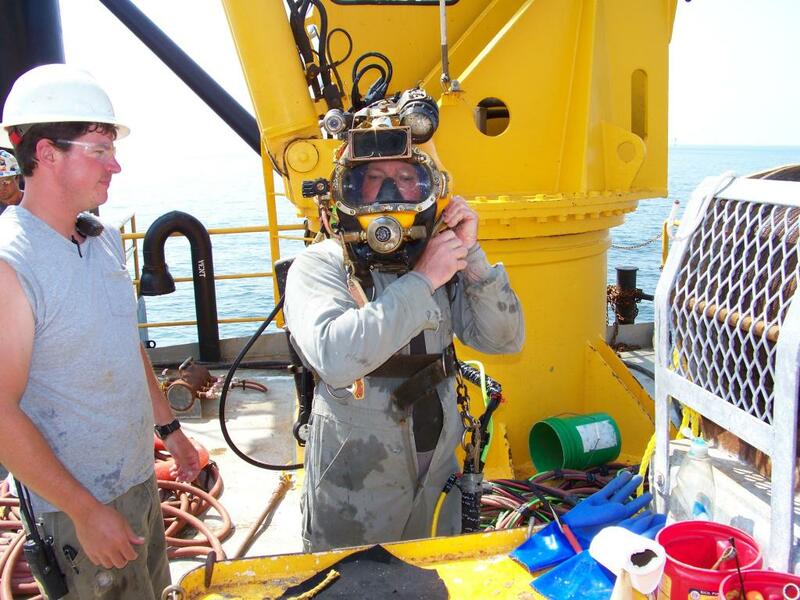 Global conducted surface diving operations in water depth ranging from 40-70 fsw. Extensive underwater burning was used to section the wreckage. 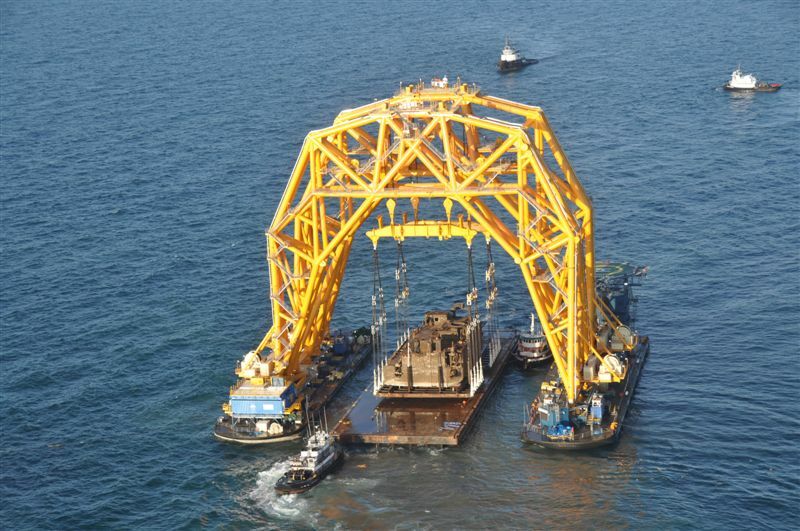 Divers rigged the mud mat and hull for heavy lift operations. 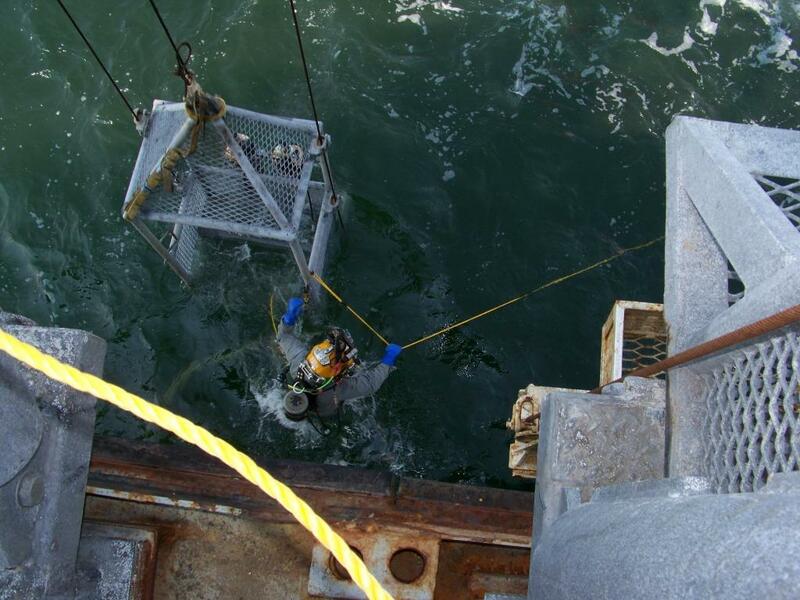 Dredging and venting of enclosed spaces were required for safe access into the structure. Work was performed from the LB Superior Endurance, LB Superior Intervention, and the DB Superior Performance. The Versabar Bottom Feeder was used for the final 600 ton lift.